The organising committee of the ongoing Aspire Wonderland Festival has decided to extend the festival until Monday, April 1, while the dancing fountain shows will conclude on Saturday. 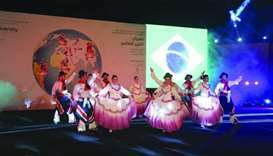 Music performances, sports tournaments, gastronomic events and a speech contest will mark this year’s Francophonie festival in Doha, scheduled from March 13 to 23, French ambassador Franck Gellet has announced. 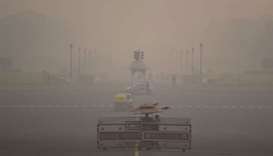 Pollution in the Indian capital, New Delhi, rose to a ‘severe’ level on Thursday after revellers let off fireworks long into the night to mark the Hindu festival of Diwali. Following three weeks of Shop Qatar festivities, the festival "continues with exciting retail offers and brings novel shopping experiences and special entertainment to mall-goers" in its last week, the organisers have said. 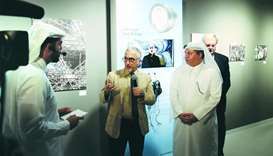 The first edition of the Photography Festival officially opened at Katara – the Cultural Village on Wednesday, showcasing the works of some renowned photographers from Qatar, Germany, France and the Philippines. Asian Town celebrated Weekend Festival on Friday at Plaza Mall with a live music show. The Cannes film festival ends Sunday with a movie about a hammer-wielding hitman, a rousing story of AIDS activists and a parable of Putin's Russia among the favourites to lift its top prize, the Palme d'Or.